This little girl has a rather, well, unorthodox relationship with the Grim Reaper. If this image inspires you, write a story that tells us what on Earth is going on here. 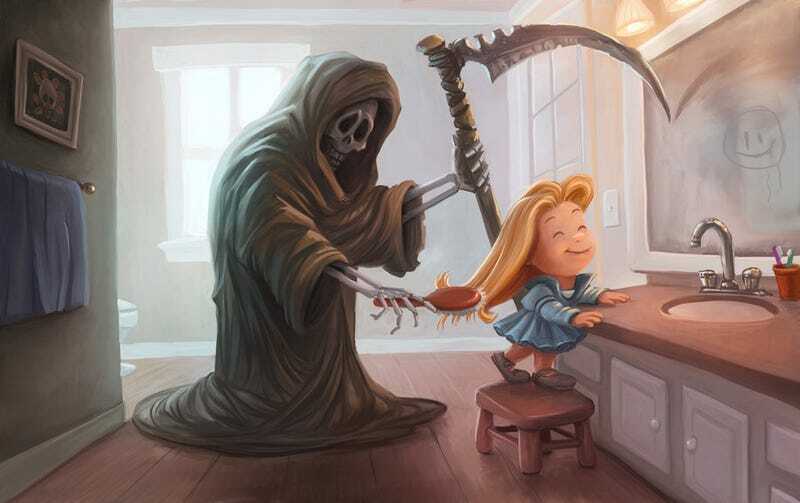 "Emily's Brush with Death" is by concept artist Jeremy Vickery, and it's a fun image—or is something more sinister happening? As always, we invite you to come up with a story based on this illustration and post it in the comments.